DW Groundworks (Essex) Ltd gathers and processes your personal information in accordance with this Privacy Notice and in compliance with the General Data Protection Regulations (GDPR) and other relevant data protection regulation and laws. This notice provides you with the necessary information regarding your rights and our obligations, and explains how, why and when we process your personal data. The Company’s registered office is at Damer House, Meadow Way, Wickford SS12 9HA and we are a private limited company registered in England and Wales under company number 06745481, designated Data Protection Officer is Darrell Woodcock, who can be contacted at info@dwgroundworks.co.uk. We do not share or disclose any of your personal information without your consent, other than for the purposes specified in this notice or where there is a legal requirement. We may use third parties to provide services; however, all processors acting on our behalf process your data only in accordance with instructions from us and should comply fully with the data protection laws and any other appropriate confidentiality and security measures. We take your privacy seriously and take every reasonable measure and precaution to protect and secure your personal data. We work hard to protect you and your information from unauthorised access, alteration, disclosure or destruction. We only ever retain personal information for as long as is necessary and we review what we hold regularly. We will keep your data on our systems for as long as a relationship exists between us unless you ask us specifically to remove your details. 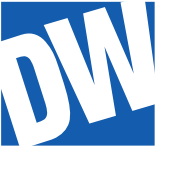 Our website may contain links to other sites, which are not managed by DW Groundworks (Essex) Ltd.
We not responsible for the privacy practices within any of these other sites. Users should be aware of this when leaving our site and we would encourage users to read the privacy statements on other sites visited.